Excellent transaction and super fast delivery. Thank you. 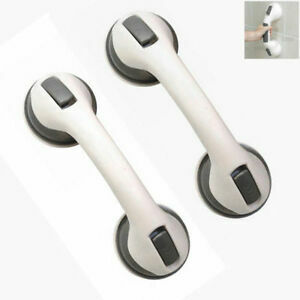 Bought these for the shower and they are brilliant and stuck firmly ! Six weeks recovering from broken ankle made so much easier with these in the toilet and shower. Sturdy and do not move when pulled on. Would recommend them.